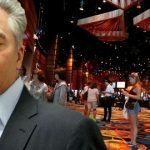 Way back at the start of 2010, New Jersey gaming regulators took a long hard look at MGM Resorts’ joint venture in Macau with Pansy Ho (daughter of casino magnate Stanley Ho), declared Pansy ‘unsuitable’, and forced MGM to choose between Macau and Atlantic City. 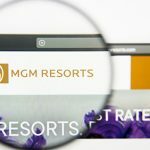 In what seemed to have been an obvious outcome to everyone except the NJ regulators, MGM chose Macau. 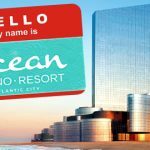 Perhaps Atlantic City’s legislators have modified their stance a little since then, because the growing popularity of HBO series Boardwalk Empire has spawned a desire to celebrate a homegrown character that elevated ‘unsuitable’ to a whole new level. In the HBO program, Steve Buscemi plays a thinly-disguised version of Enoch ‘Nucky’ Johnson, the real-life Atlantic County Republican Party treasurer/secretary who had a hand in all sorts of illegal shenanigans during his three-decade run at the helm, ultimately ending up in prison for tax evasion. Seven decades later, Atlantic City Councilman Dennis Mason is proposing to name a Belmont Ave. block closest to the Boardwalk after Johnson. Mason has even admitted that he isn’t bothered by Johnson’s unsavory past, because Mason’s intent is not to celebrate Johnson’s lifetime achievements, but merely looking to cash in on the “hype and publicity” generated by the HBO series. 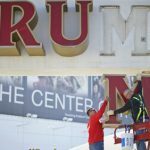 So the takeaway from all this is that Atlantic City’s tolerance of ‘unsuitability’ appears to be something of a moving target. Meanwhile, Pansy Ho seems to have gotten over Atlantic City’s snub, undoubtedly assisted by the fact that the aforementioned joint venture with MGM has just filed for its anticipated initial public offering in Hong Kong. 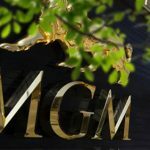 The IPO would make it six for six of Macau’s casino licensees to go public. For the record, Macau casino revenue is up 63% on the year, whereas Atlantic City’s numbers are, er, not as good, underscoring that as the sun sets on one empire, it rises on another.